Vivo X21s Launch with 6GB RAM and Indisplay Fingerprint Sensor - mobilereview.online - The Ultimate resource for mobile phones reviews, specification, information. Chinese company Vivo launches Vivo X21s, the new smartphone for its X-series. This handset comes with in-display fingerprint sensor. The Vivo X21s handset is part of Vivo's mid-range smartphone segment. 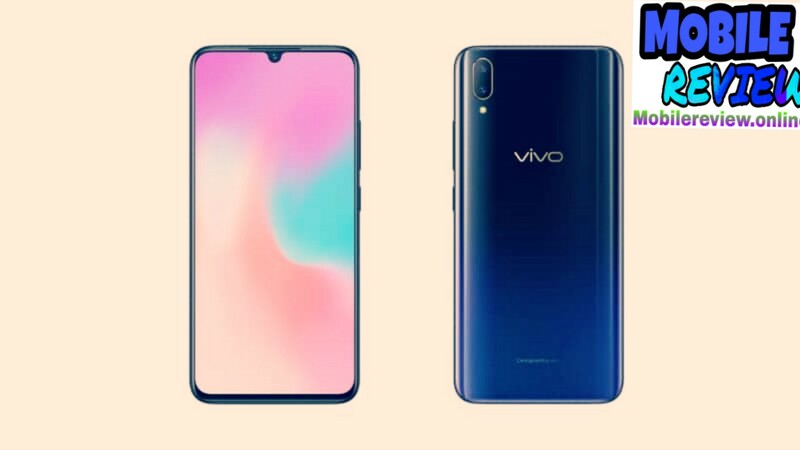 This smartphone with unique fingerprint sensor will face direct vivo V11 Pro. Speaking of key features, the Vivo X21S has an in-display fingerprint sensor in addition to the unresponsive display, Waterfront Noch, Snapdragon 660 processor and 6 GB RAM. Vivo X21s is priced at 2,498 Chinese yuan (around Rs 26,100) of 6 GB RAM and 128 GB of storage variant. This phone has been made available in Stary Night Black color. At present, there is no information about the availability of this smartphone in India. Dual sim Vivo X21S Out of Box Android 8.1 will run on Orio It has a 6.41 inch full-HD + (1080x2340 pixels) super amoled panel. Its aspect ratio is 19.5: 9 and it comes with 91.2 percent screen-to-body ratio. The handset has an octa-core Qualcomm Snapdragon 660 processor, 6 GB RAM and 128 GB inbuilt storage. If needed, the MicroSD card can be used up to 256 GB in the phone. Talking about camera setup, the Vivo X21s has dual camera setup on the back. The primary sensor is 12 megapixels and the secondary is 5 megapixels. The rear camera setup comes with autofocus and monochrome flash. The front panel has a 24.8-megapixel camera which comes with AR support and face recognition. The battery is of 3,400 mAh. The Vivo X21s connectivity features include 4G LTE, dual-band Wi-Fi, Bluetooth, GPS, GLONASS, Micro-USB port and 3.5mm headphone jack. Accelerometer, ambient light sensor, electronic compass, gyroscope and proximity sensor are part of this phone. The dimensions of the handset are 157.91x75.08x7.9 millimeters and weighing 156 grams.